We’ve had this oven for seven years, and got it for less than a third of the price of the Elba. If I remember correctly, our earnings from baking (mom and mine) paid for the monthly installments then. 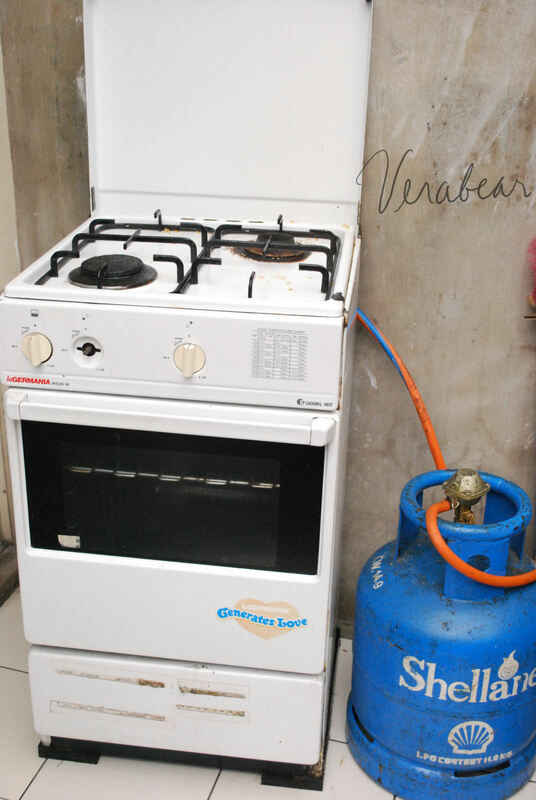 We’ve had some good times, me and this oven. It was the first I ever had and for awhile, it nourished my love for baking. I haven’t used the oven for over a year. I hated that it doesn’t have a proper thermostat, and that you had to turn the knob from high to medium for specific intervals just to achieve the right temperature. Whatever happened to leaving the muffins to bake for 20 minutes while you move on to something else? That was impossible. It still works, by the way, though it probably needs a good cleaning. I’ve offered it to my cousin at a very very low price, but she hasn’t decided yet. I’m not sure if I want to sell it to anyone else if she decides not to take it. So how did I end up buying an oven on Tuesday? I’ve always wanted to. I had my eyes on a bigger model actually, one that would’ve cost more than twice as much as the one I ended up getting. But I just never had enough money. Whenever we go into an appliance/electronics store, the boyfriend and I would check on three things – DSLRs, TVs, and ovens. Last weekend was no different. We saw this on Sunday, and decided that it’s all gas sister was perfect for us. Sunday was the first time I checked my ATM after the last payday and I was overwhelmed by how much money I had available. I got my leave conversion, and anniversary bonuse see. 🙂 Rather than slowly see that money go down on clothes, shoes and food, we decided it was better spent on something big. Something significant. But the final decision happened on Tuesday after somehow consulting mom, and discussing finances with Alfred (will I be able to pay my bills even after I splurge on this? Do we pay half in cash and half in credit? Do we do installments?). Even at the mall, walking through the aisles of the Appliance Center at The Block, I was asking Alfred if we were sure. We could get a 17-inch LCD/flat screen TV for a lower price. I could buy a Samsung Pixon. Or an Iphone. But this baby won out. Cool! We have the same oven. Our’s is bigger though but what the hell, parents bought it. I wish I could find a job that would overwhelm me when I check my ATM too. LOL. 🙂 Kaloka! Nice oven. I also like to cook and bake. I’m not familiar with the brands in the Philippines, so it’s useful advice in case I have to buy one. Very nice. Si wifey ko pangarap yan ganyan eh. lol. wow! congrats on the new oven. happy baking! 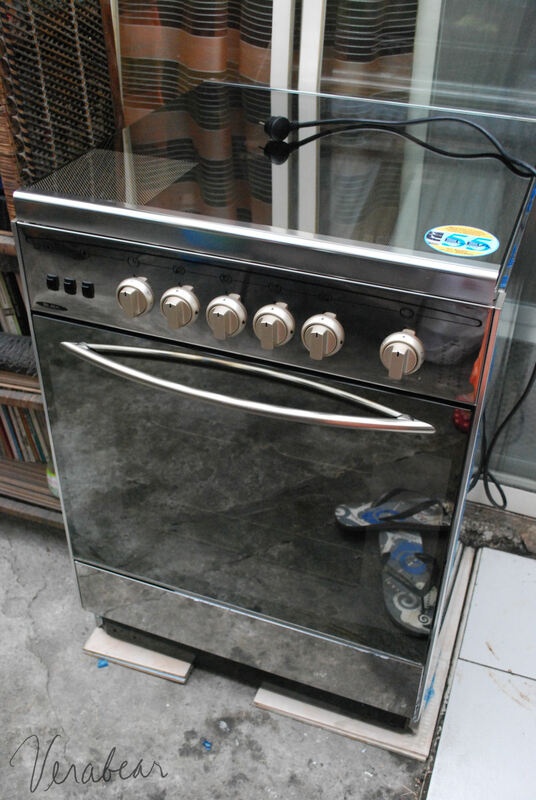 nice oven … looks like washing machine with all those dials .. hehe .. just kidding ..
and u dun hav to hav mirrors in ur kitchen anymore, cool ! inggit sa new range!!! but i have to wait for a new home muna talaga before we buy any, kasi wala talagang space! I’m currently looking for a free standing range but can’t decide between Elba and La Germania. I went to abensons, sm and automatic center…. the salespersons made me even more confused. I’m just wondering about your experience with Elba? Well, I have heard it used colloquially quite frequently, but it isn t correct, at least not to my ear. The right way would be She arrived home . I’m currently looking for a free standing range but can’t decide between Elba and La Germania.